On 29 - 10-2014 past, Khai Hong Affairs conducted 01 wooden sofa table SF-1886, BD-1033 01giuong bed, wood furniture DCS-7233, TV-01 television shelves in 1852, 01 wardrobe 4-door, 3 drawer WR-4187. 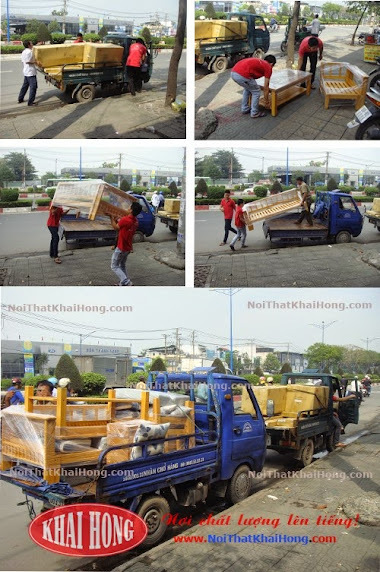 Ms. Zhou is currently a director of an export service company, recently she and her family moved to apartments near embankments front CITY Celadon wins Tan Phu district, so she needs are replacing some furniture Furniture in the house. She searched online for references before some sample products and manufacturers, then she decided to call the hotline number for Hong Khai. She did not ask about the product that you asked about the longevity and durability of rubber wood. She asked: "Products made from durable rubber how many years? It differs from native wood products, timber brake shoe like? "After counseling and she believes that furniture made from natural rubber wood with long endurance - 20-30 years, more furniture from rubber trees have a modern style, suitable for families living in the apartment. Add an additional point is that a lot of cost savings so she liked and decided to purchase the products of Hong Khai. Khai Hong felt that she had found the right product Chau properly, her family needs her to be happy. Customers have come to the house, and carefully assembled. - Delivery and assembly of goods carefully. - Products delivered right color, pattern and quality right choice. Khai Hong sincerely thank you and your family have trusted and supported Khai Hong. Wishing you and your family lots of health. More successful in their business. Invite you to view samples of new furniture.